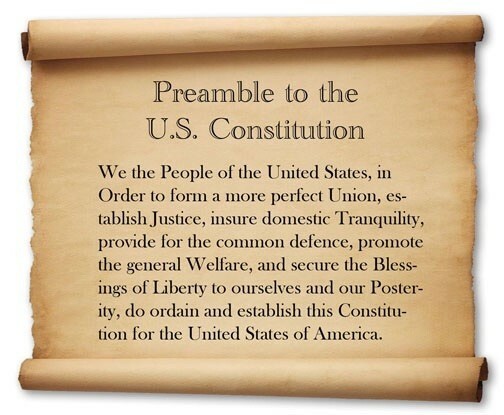 Today we are going to talk about the Preamble and how significant it is. A preliminary or preparatory statement; an introduction. It wasn't written with the rest of the Constitution. It does add any definitive legal definitions but it does influence the way legal definitions are offered up else where in the Constitution. - "We the people" the American system that the derive their rights from God and that government derives its powers from the governed. - "in order to form a more perfect Union" The delegates in Pennsylvania were frank and their assignments that the union of state had to be improved and that it is what they set out to do. -"establish Justice" Under the articles of the Confederation there was no national court system. -"insure domestic tranquility" The national government under the articles of Confederation was not potent enough to prevent what can best be described as general disorder within the borders. -"provide for the common defense" nations must be able to defend their citizens from attack or the threat of attack. Likewise, nations must be able to secure their own borders and protect their citizens at sea. -"promote the general welfare" The founders of the new government had no inclination to use federal revenues to provide for the welfare of any specific individual. 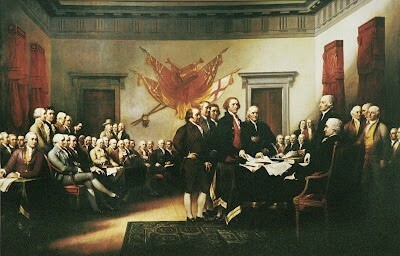 -"and secure the blessings of liberty to ourselves and our posterity" delegates fully understood the liberty was both a blessing and obligation. 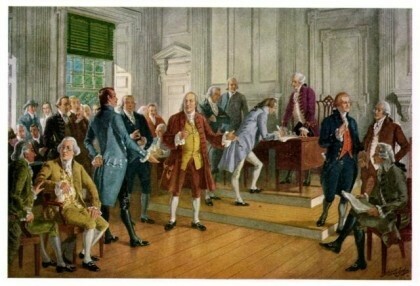 -"do ordain and establish" The convention gave the constitution a force of law. 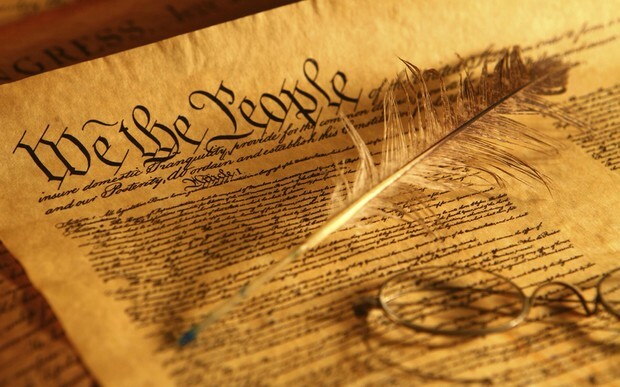 - The Preamble helps scholars, lawyers, and lawmakers to understand the Constitution as a whole, in its intent, its basic meaning, and its fundamental tenets. While the Preamble is not critical to the function of the Constitution for establishing the Government of the United States, it has come up time and again in court proceedings and will likely continue to arise long into the future. - It's not a source of power, but the Supreme Court has often referred to it as evidence of the origin, scope, and purpose of the Constitution. Are opinion on the Preamable is that it is very important to both of use but the rest of the Consitution is more important because the preamble is just the introduction and doesn't have and laws.